Vilato Marrero has gone on to a career in training and developing sales forces. But he reaches back to his younger days for his "character defining job," according to his website bio. "My character defining job," Marrero wrote, "was at the early age of 16 years old as a professional baseball player with the Milwaukee Brewers organization. There I learned and still present values like commitment, determination, excellence, friendship, appreciation, courage, believe and respect." Marrero spent five seasons at that job, often playing along side his brother Oreste Marrero along the way. Vilato Marrero made it to high-A, then turned his pursuits elsewhere, eventually to sales. 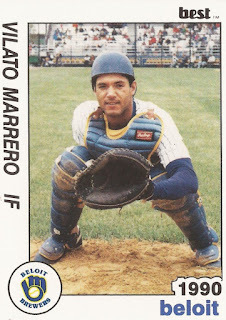 Marrero's career began in 1987, signed by the Brewers as a free agent the previous year out of his native Puerto Rico. Marrero started with the Brewers at rookie Helena. He got into 61 games and hit .288, with six home runs and 47 RBI. He returned to Helena for 1988, then moved to single-A Beloit for 1989. He it .224 that year over 81 games. A Marrero throwing error in an August game cost two bases. 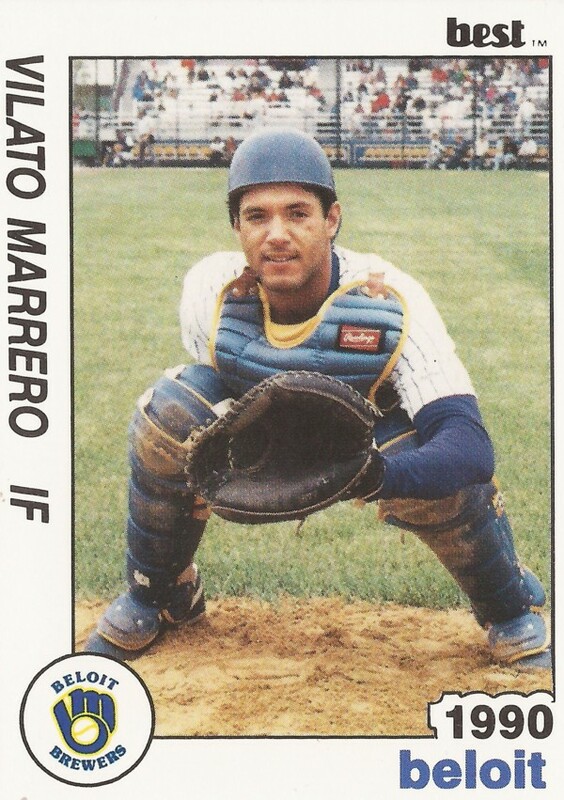 Marrero played 1990 back at Beloit, then high-A Stockton for 1991. He singled in a run in a May 1991 game. He hit .256 over 106 games for Stockton, ending his career. Marrero has since joined the John Maxwell Group in sales force development.